The island sinks after Ali finds the Gold Armlet. After the intro, the game starts, and the player is able to control Ali. He is arriving back in his homeland, only to find it being attacked by strange creatures that are after the armlet. The game starts by throwing the player into action: Ali must expel the invaders. 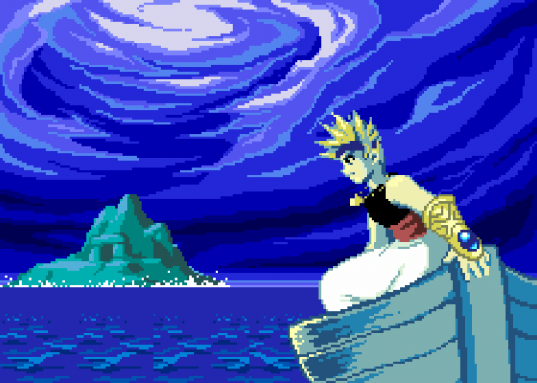 Right there you see that the game plays more like a side scrolling fighting game, although, like any traditional RPG, it is possible to go up or down in the screen (like Zelda). It feels very different in the beginning, and takes some getting used to. 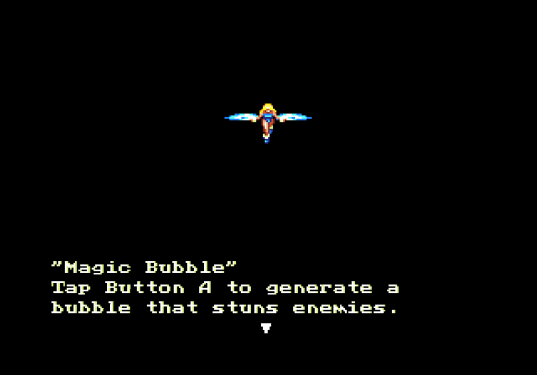 The first and most noticeable element are the controls, that are very unusual for a RPG game. There are a lot of possible actions and attacks that Ali can perform. Getting to know all them is something that the player won’t get in the first minutes playing the game. Ali can perform a variety of combos and finishers. This all means that the enemy A.I. could not be anything but similar to the ones found on games like Streets of Rage and Final Fight. There is a good variety of enemies, that, as any 16-bit game, repeats throughout the game, only with different colors and harder A.I. variables. As for the RPG elements, this game has a level progression system, so Ali levels up not by gaining experience, but from collecting hearts that are often dropped by enemies or found on chests scattered on the land of Oasis. There are also other weapons that Ali can use, such as different bows, swords and bombs with different properties. 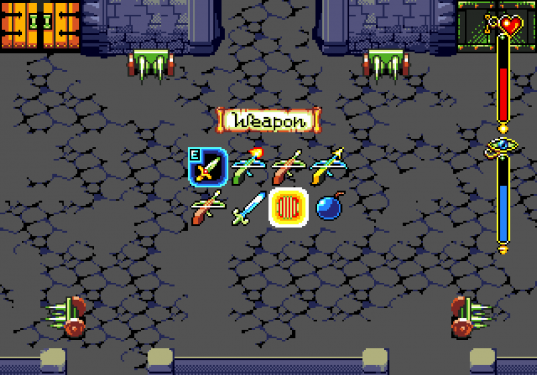 Not only that, but items to regenerate HP and MP are also present in this game and have to be used in a RPG fashion, so the player have to access a menu to equip weapons and use items. Each weapon has its own properties, much like a RPG. 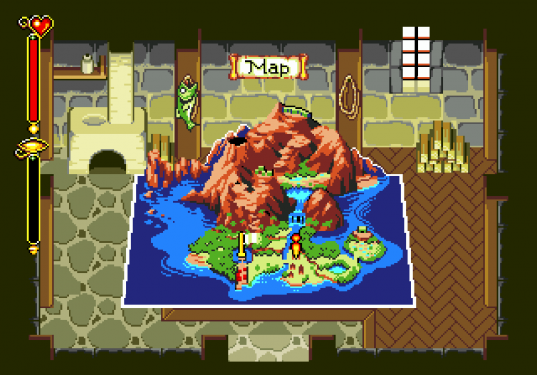 The map and the world are definitively from fantasy RPG games, meaning that all the levels are connected through a world map, so there is quite a bit of exploring and traveling in this game. The map also displays an overview of the world, as one might expect, but it also marks with a flag where the player should go next, so it’s hard to get stuck. This is the map. Notice that it always tells where Ali should go next, so it's almost impossible to get stuck in this game. After finding a spirit, the game explains how to use summon and use it. Some parts of the world map and puzzles are only accessible when using a certain summon ability, which leads to level design of the game. At the beginning the levels are very uninspired, short and simple, but thankfully, as the game progresses, they evolve into more complex and well designed dungeons. There are a quite a few platform parts in the game, and that’s good because the ones in the game are very frustrating due to the it’s viewing angle and the way the main character jumps. Now, for the graphics and sound of the game, there is nothing really much to say, except that they are awesome. Sprites are big and colorful, character animations are smooth and backgrounds are visually detailed and complex, even the graphics tile based nature. The intro of the game is really well executed, and it’s actually quite surprising that this game is running on a Genesis. The music is made by Yuzo Koshiro, the same guy responsible for the music of Streets of Rage 2, and they are good and varied, setting the ambiance of the game. Sound effects have the same quality as the music and some of them are exactly the same ones found in Streets of Rage 2. 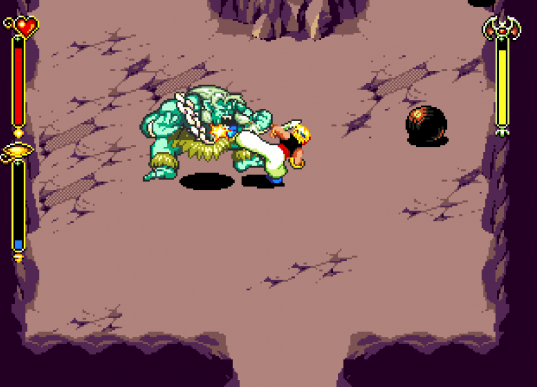 All in all, the strange mix of RPG and beat’em up works, sometimes for the better, sometimes for the worst. Story feels secondary, while the game focuses more on the action. If it isn’t clear by now, the game is great, despite the fact that it may not please everyone, due to the fusion of two different game genres. Still, it is worth at least trying it out. WHOA! I’ve never heard of that game, but judging by the review, it’s definitely a must-play!! Yes, it is! There is a prequel to this game, called “The Legend of Oasis” for the Sega Saturn released in 1996.